Poraver produces lightweight aggregate from post-consumer recycled glass. The aggregate can replace heavier aggregate in many different systems such as dry mortars, building panels, light weight concrete and special applications. The Poraver products can enhance low thermal conductivity, higher strengths, and improve workability. The Poraver products are expanded glass with internal porosity and external porosity. They are available a wide range of sizes. The Poraver X series has a closed surface for expanded use in ready to use systems. 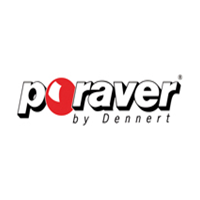 Poraver products are produced in Germany and in Canada.